We need you to speak up today! 2. Copy our template response below and add your own comments. 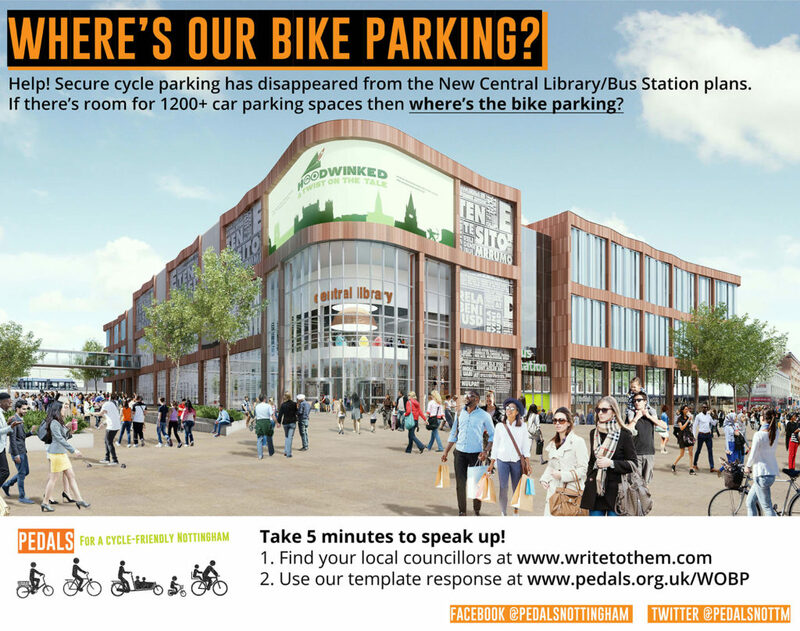 Do you know that secure cycle parking is no longer included in revised plans for the New Central Library and Bus Station (on site of former Broadmarsh Bus Station and Car Park)? I am concerned about this because [YOUR OWN COMMENTS HERE]. I support the comments made by PEDALS, Nottingham Cycling Campaign. The Council Planning Committee will vote on this planning application (18/02038/PFUL3) on Wednesday 21st of November. Click here to read the full Pedals response.